Department of Visual Arts, University of Taipei, was founded in 1988, of which the predecessors were Zhisanyan Japanese School of 1895, Municipal School , and Women’s Municipal College . The Department has numerous outstanding alumni, such as Huang Tushui, Chen Chengpo, Liao Jichun, Li Shiqiao, Li Meishu, and Guo Bochuan, who made great contributions to the visual arts in . The history of the Department is more than one hundred years, and the Department provides numerous links to visual arts sources in . 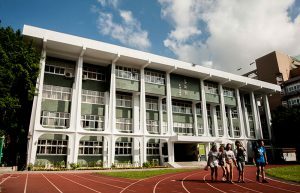 In addition, the Department has long focused on cultivating school teachers of fine arts, and many of them teach all over Taiwan. In order to catch up with the current trends of the world, the Department has adjusted its development goals. The undergraduate program aims at cultivating outstanding artists by integrating studio creation with art theory. The Department offers courses in six areas of concentration: painting, printmaking, sculpture, ceramics, new media and art theory. The Department not only dedicates in training students’ artistic creation but also encourages students’ creative potentials, so that the students will develop competence in diversity in art creation. Established in 1997, the Graduate Program is divided into two groups, studio art-major and theory-major. The Graduate Program aims at cultivating distinguished artists and academic research fellows. 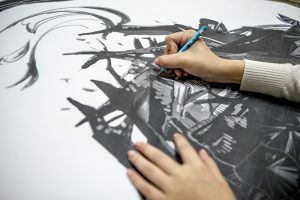 According to their interest and career plans, the studio art-major graduate students endeavor to pursue artistic creation, and then apply the artistic creation to cultural creativity industries. The theory-major graduate students undertake to study advanced art history and relevant art theory, and then engage in art management or pursue academic studies in art history. Since1999, the Graduate Program of Continuing Education has been set up to provide the school teachers with the opportunities of professional development. The Department takes up the responsibilities for visual art education and arts promotion. The Department not only offers diversity in courses, but also encourages diversity in visual thinking, to cultivate outstanding artists and academic research fellows. Moreover, the Department catches up with the current trends of the world and enlarges the scope of international vision to assist students in developing competence in the complex environments and in developing diversity in art creativity.